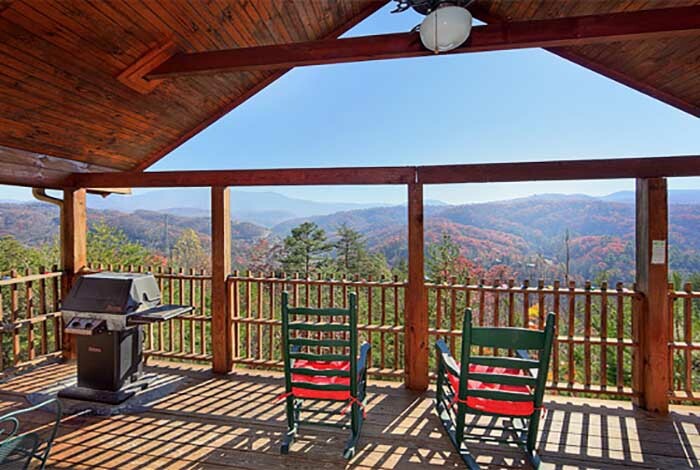 A hideaway that can be enjoyed by all, stay in Brave Eagle for your next Pigeon Forge getaway! 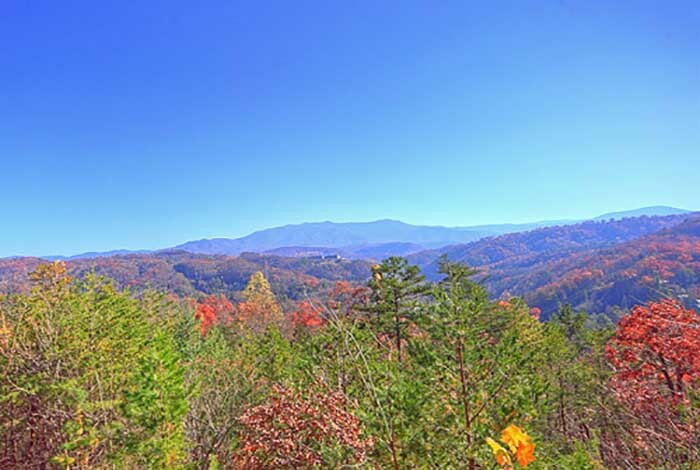 Located in Pigeon Forge just minutes from Dollywood and Gatlinburg, this 1 bedroom has location, views, amenities, and perfection! 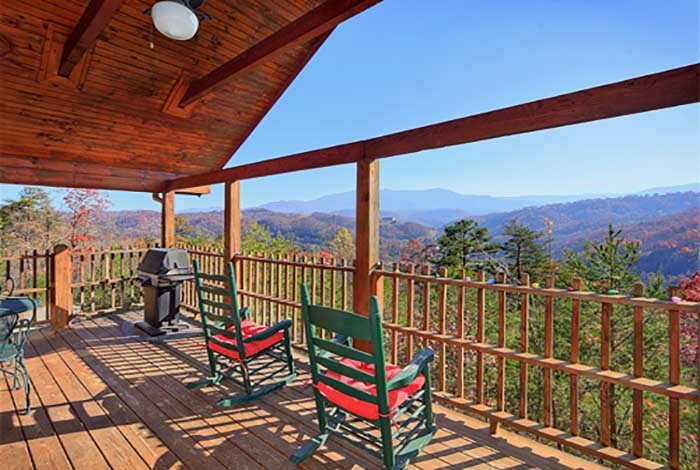 Look out over the beautiful Great Smoky Mountains National Park and enjoy relaxation from your own rocking chair or hot tub. The pool table is a fun time as well, be sure to challenge that special someone! 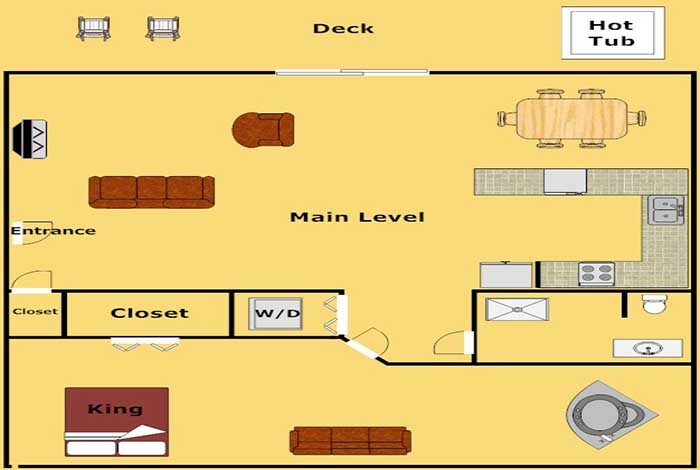 Head inside to enjoy your jacuzzi or to relax by the flat screen TVS. 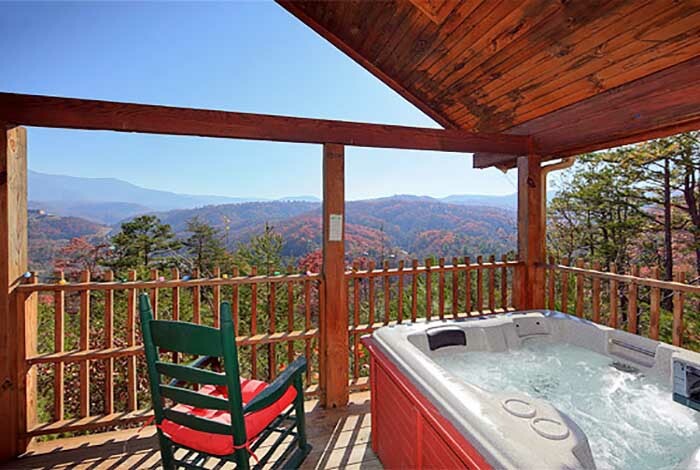 Whether you are wanting to disappear or be in all the action, Brave Eagle is the perfect start!